I'm implementing some major changes on the layout of the site. A new section has been added to the site. The layout of the update section has been changed. The section can now display the last update of the novel series. It also displays the last chapter of the novel series. You can also filter the section by its origin. The section can also filter between ongoing and completed series. You can also type in the title of the novel to search the series. On the right side contains the links to the epubs. 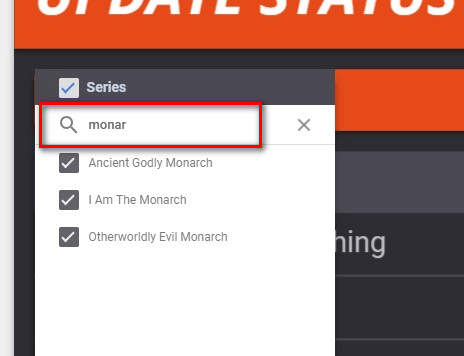 Filter the title of the series to narrow down the links. Anyways, just try it out. Once i've added the remaining missing links, mostly for completed novels, i'll also be removing the completed section of the site.